Does gifting ever feel stressful to you? I hope not, but we all have our moments. I will readily admit that thoughtful gifting does not always come easily to me. 1. Plan ahead (WAY ahead). It's September. Truthfully, I have most of my holiday shopping completed. I don't say this to make you feel bad......I say this to share strategy. I find that I'm relaxed and calm in the summer. I think about gifts, I prepare, I pre-order. I visit local markets and talk to local creatives. Sometimes I ask them to make custom products for me. I make lists, I know who I'm shopping for. Things seem to come together seamlessly in the Summer. The closer I get to the holidays, the more stressed I feel about gifting. Planning (way) ahead really simplifies the process for me. So grab a notebook and get planning for your Fall and holiday gifts. No seriously, pay attention. Listen. People are telling you what they want. I always say I'm the easiest person to shop for, ever. It's mostly because my husband listens to me and makes notes when I'm raving about/gushing over something in....March. He's the best. I've usually long-forgotten about whatever it is, but he has it written down somewhere. Like everyone, I talk about things that I like or want, you just have to listen and make note. If you are gifting children - ask a parent what they need. A friend recently celebrated her birthday. She told me "I keep telling everyone that I REALLY want passes to my favourite yoga studio for my birthday, but no one is listening". Seriously, if people are telling you what they want, listen to them! Do you ever over-think gifts? *raises hand* sometimes I'm my own worst enemy. We are all human beings, and most of the time, we just want some thoughtful gesture, and to be together. Am I right? 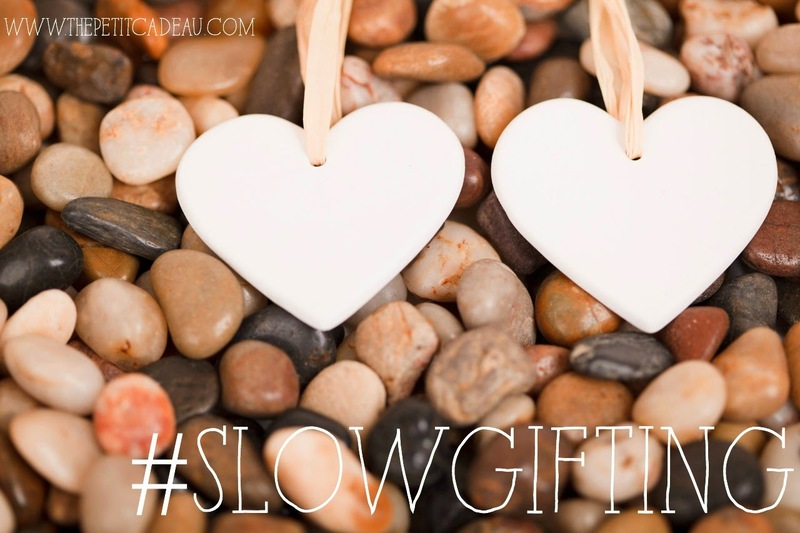 This is all part of my #slowgifting philosophy. 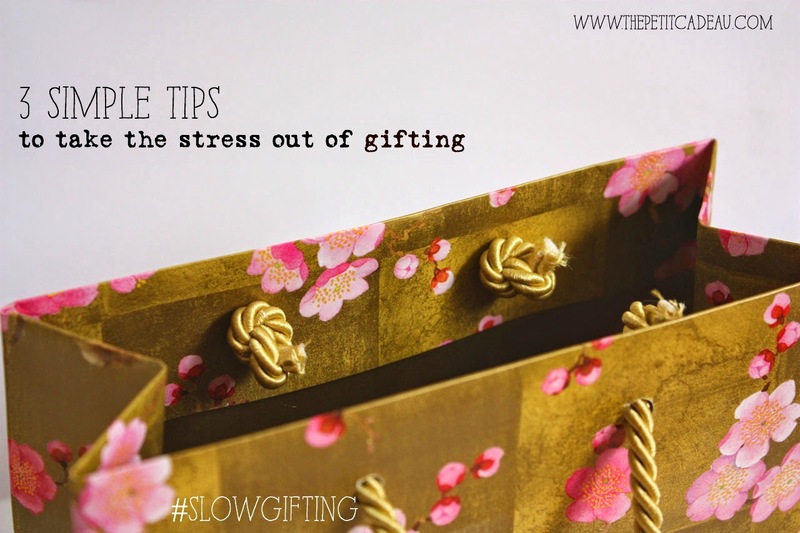 Do you have a way to take the stress out of gifting? Be sure to share with us in the comments. Great tips! 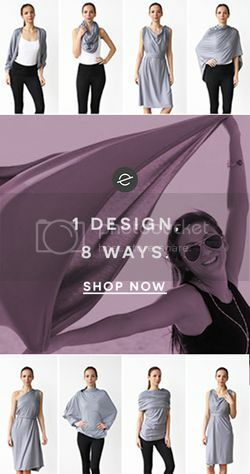 I started my holiday shopping months in advance since my daughter was due right at the beginning of the holiday season last year, and I found it so much easier to find the perfect gifts in my travels rather than scrambling to try to do it all at once. I've already started my holiday shopping again for this year! I also find for certain people in my life experiential gifts to be better than physical ones. I love your tips and follow them to the letter, but, I like the idea of taking the "shopping" out of gift-giving as much as possible. "Making" things instead - and I have not one arty bone in my body! I'm lousy cook, my brother is a chef - best gifts from him are food-related (like the year he catered my holiday party!). My sister is starting a new business, I'm a writer and biz coach, so... she gets my time as her year-long, every celebration, gift from me! For my best friend's 50th birthday I made her what I call a MemWow! 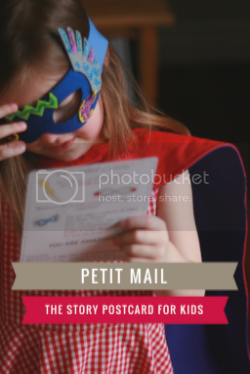 - an event memoir that makes people say "Wow!" It took some time (Rule #1 is critical!) but it's a gift she'll never forget and can share with everyone else who was at the party.